In his 2014 state of the union address, Barack Obama said he has put “prudent limits” on the use of drones. However, not much will change, because people who are classified as “terrorists” by the U.S. government will continuously be attacked by drones. Moreover, the big cloud of secrecy over drones will not be made more transparent. To me, the use of armed drones are against international law and morally wrong. I want to prove with 10 points in this blog post that armed drones should not be used. During the past decade the military use of drones has risen dramatically. A drone is an aircraft without a human pilot on board and is controlled by computers or the remote control of a pilot on the ground probably hundreds or even thousands of kilometers away from the target. These armed drones are certainly ugly business as anyone anywhere could potentially be a target. It is important to stress that drones can also be used for good purposes, like the recent announcement of Amazon to deliver small packages with drones in front of your door. Although even for civilian purposes drones pose a threat for your privacy. While China and other emerging countries like Turkey have begun to develop drones, it is the U.S., the UK, and Israel that have led the construction and development of drones since decades. The first use of an armed drone was documented the first time in public records in 2001 at the beginning of the war in Afghanistan, although they might have been used already before that. In general, the producers and users of armed drones want to make us believe that this technology is absolutely save and even a step forward. However, as of yet, very big question marks remain. Many people think that drone attacks are targeted and only come along with small and unavoidable collateral damage. Drones are viewed as a credible threat for the “bad guys.” The reality is different, but a common perception portrays that armed drones are “clean” and almost surgical when they are used to kill people. This goes along with an ongoing effort of the weapon industry and governments which use armed drones to shift the discourse about the use of the term drone and replace it with another more “innocent” name. However, I purposefully will not use other terms because trying to rename this weapon is only an effort to belittle the nature and impact of drones. The vast majority of military drones are used for surveillance, targeting and intelligence gathering. Now, armed drones are getting ever more popular and are the latest “must have” as dozens of defense ministries around the world try to get these weapon systems. Drones allow for a selection of targets and fire missiles and bombs from hundreds or even thousands of kilometers away. In fact, it seems to be like video-game warfare. Somewhere, in a cozy office sits a “pilot” using a computer joystick to fire missiles and killing people, probably with a coffee mug in his other hand. U.S. drone strikes in Pakistan and Yemen have increased dramatically after President Barack Obama took office in 2009, and became a key part of the fight against al-Qaeda and its allies. The U.S. has also used armed drones in Afghanistan, Algeria, Somalia, Libya, and Iraq, and about a year ago received approval to base drones in Niger as well. According to the Bureau of Investigative Journalism more than 390 drone strikes were ordered by President Obama in his first five years in office, in contrast his predecessor Bush ordered “only” 51 strikes in his second term in office. These strikes have killed more than 2,400 people, at least 273 of them reportedly civilians. It has to be pointed out though that the number of civilians killed in Pakistan, where most of the strikes have taken place, has been reduced a lot during recent years which might be due to the improved technology as well as to increased criticism in Pakistan against drone strikes. Israel has developed drones since the 1970s and used them since the early 1980s. This is all in the realm of speculation because nowhere else is the lack of transparency higher than in Israel. In fact, the Israeli government never officially acknowledging that it has used armed drones. However, Drone Wars UK has established in a report in January 2014 beyond doubt that Israel has launched numerous airstrikes with drones in Gaza, not least in Operation Pillar of Defense. This November 2012 military offensive into Gaza appears to be the first major military attack not to use ground forces at all and probably sets a precedent for military interventions in the future. In general, Israel’s drone businesses are thriving as Israel is the world’s leading exporter of drones worth hundreds of million dollars every year. The UK has started to use its drones since 2008, mainly in Afghanistan. The military is praising, like the other countries, the drones as being “precise” although it is not clear whether they are really so accurate, as everything is hidden in secrecy, as it is the case with all countries and their drones. 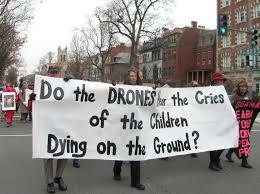 As in June 2011, four civilians were killed in Afghanistan by British drones. Next to these three countries that produce drones, many others have used them as well. One of these countries is Colombia, where I am currently living. It now tries to develop its own drones, not least to monitor the country’s vast oil pipeline network that is under frequent attacks from guerrilla groups or armed gangs known as “bacrims.” Since 2006, Colombia has used drones supplied by the U.S. in counterterrorism and counter-narcotics operations in the wider scheme of the “war on drugs.” A Washington Post article reported in December 2013 that President Santos, who was defense minister under Uribe, has greatly increased the pace of operations against the FARC, Colombia’s main guerilla group, by using smart bombs against the most important FARC leaders. Colombian officials said that “at least two dozen rebel leaders” have been killed through that means. In the meantime, Colombia uses Israeli and not American drones anymore. After providing this background on drones, I have summed up in the following my ten main concerns about the use of armed drones, mostly focusing on the use of armed drones by the U.S. For sure, these ten points are not sufficient. A lot might be missing and I welcome feedback, ideas, and criticism about these ten points. It has to be also pointed out that the ten points are not ranked according to priority but all should stand on their own. Amnesty International pointed out that “deliberate killings by drones […] very likely violate the prohibition of arbitrary deprivation of life and may constitute extrajudicial executions.” The UN urged concerted effort to maintain protection of the full range of international law in the face of drone use. This includes not least international human rights and humanitarian standards which currently hardly seem to be regarded when armed drones are used. Armed drones often are used outside of a defined conflict zone. Thus, international human rights law would be the applicable law with rules that demands significantly more stringent rules for the use of lethal force. However, the application of these laws have become problematic as countries have widened the definition of battle zones in their fight against terrorism and insurgencies. Moreover, the legality of their deployment is under question in the U.S. because the law of war only applies to uniformed military and not to the civilian CIA which runs armed drones in the U.S. Their public data on the use of armed drones are minimal and secrecy prevails. The Justice Department of the U.S. defends the use of drones with the UN Charter, which allows states to make war in the interest of self-defense. However, this defense is clearly a wide stretch, and the killings plainly run afoul of the laws of war and international human rights treaties. Thus, primarily, the right to life must again be protected as a supreme right as it is elaborated in international humanitarian law. Targeted killings are ethically wrong and constitute an assassination as this individual has no chance to defend himself in front of a court and is intentionally killed. Covert drone strikes are the latest in a series of interrelated issues in the wars of the U.S., particularly since the wars in Afghanistan and Iraq. In the name of defending U.S. citizens from terrorism, a completely new form of possibilities has been available for U.S. bodies to fight “terrorists.” The methods include torture, black sites, and extraordinary rendition. The ethics of this U.S. strategy has been questioned around the world and surely has led to a lot of damage to the reputation of this country. It would be more than about time that the U.S. is refurbishing its image as a country that stands up, around the world, for civil rights and liberty and not for a concerted effort to assassinate people. Details of how armed drones are being used, in or outside of declared wars, are closely guarded secrets by all three states (the U.S., UK, and Israel) known to use them. In short, there is hardly any or no transparency on the part of countries that use armed drones. Thus, the UN urges countries to declassify their documents because transparency and accountability is needed concerning the deployment of drones which currently undermine the rule of law and may threaten international security. Accountability for violations of international human rights law (or international humanitarian law) is not a matter of choice or policy; it is a duty under domestic and international law. That is why the secrecy about the use of armed drone attacks has to be stopped. For defenders of drones and many defense ministries there is an underlying assumption that a sustained war against terrorists can be won through military means. The logical next step is that drones are a “wise choice” to fight terrorism, as CIA director John Brennan reportedly said. However, the opposite will be achieved as anti-U.S. sentiment within the communities of radicals will not be mitigated but rather fuelled. In short, violence produces violence. In addition, more hatred is produced as drones kill people without any accountability by foreigners from a country far away like the U.S. Thus, drone attacks are actually counter-productive because more enemies are created with every innocent person that is killed by a drone. Interestingly, the attempted Times Square bomber, for instance, cited drones as a motivating force. During the early time of his presidency, Obama tried to build a new relationship with the Muslim world. He gave powerful speeches about a new dawn. 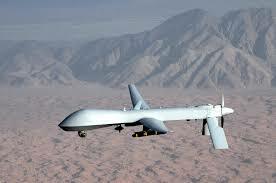 However, also the use of drones has undermined any chance of a new basis between the U.S. and the Muslim world. In fact, the population in Pakistan and Yemen are now more hostile to the U.S. At the same time, these countries seem to be less stable than during the beginning of Obama’s presidency. For sure, a lot of other factors have contributed; however, drones are not able to bring more stability with its “targeted killings.” Rather, drones weaken the authority of national governments as they seem to be controlled by the U.S. as they (have to) allow airstrikes on their soil. According to the Obama administration, lethal force can only be used against “Al Qaeda and its associated forces.” Now, anyone who dies because of a U.S. drone is considered a “militant” because he is an imminent threat to the U.S. Most frightening is a White Paper of the U.S. Department of Justice where it is stating the following: That basically suggests that everything is fine to assassinate people as long as the U.S. considers this person a threat. In short, the U.S. can attack anyone all the time without any accountability. This is not acceptable. The White House said that lethal strikes may be carried out only with “near certainty that non-combatants will not be injured or killed.” At the same time, the Obama administration counts all military-age males killed by drones as militants. That explains why official counts of civilian deaths vary widely depending whom you ask. Moreover, not senior al-Qaida leaders but Afghan, Pakistani and other unknown individuals considered by the U.S. as extremists were assassinated. It is reported that every week or so, more than 100 members of the U.S. government’s national security apparatus gather by a secure video teleconference to debate and recommend to the president who should be the next to die. In theory, the U.S. Congress intelligence committees oversee the U.S. drone program. However, their ability to set limits is severely constrained because the program is classified. Reportedly, the administration has repeatedly denied requests for further information from lawmakers. It is about time that the White House should declassify drone operations once they are completed to know who has been killed and why. In case you are wondering, declassifying documents is done with many U.S. military operations. Drones kill civilians, despite different claims from U.S. authorities as it was reported in October 2013 from Amnesty and Human Rights Watch. Thus, the claim of the U.S. that it was “extremely rare” that civilians were killed is wrong. Pakistan told the United Nations that of some 2,200 people killed by drone strikes in the past decade, at least 400 were civilians, a UN human rights investigator said. According to Amnesty International, U.S. drone operators must at all time abide by the principle of distinction; namely distinguish between civilians and combatants as required by international humanitarian law. In case of doubt, the person must be presumed to be protected against direct attack. Obama, however, also allowed so-called “signature strikes” in Pakistan. This method targets individuals for their death not based on the confirmed identity or activities of the targets, but rather “behavioral characteristics” identified as those typical of militants. Obviously, this is a clear violation because the principle of distinction is disregarded. The only way to know if a person is bad or good is to take them before law and present evidence against them. Otherwise, it is hard to determine whether a person is a terrorist. How can a person be judged, and even worse, can be killed without presenting evidence against them? That’s what Geneva Convention calls for. Thus, Obama is simply wrong on the ethics of pre-emptive killing. Not only are hostile reactions created, it is simply wrong to kill sentient human beings. These individuals do not have the slightest chance to defend themselves in front of any kind of court. By that the U.S. is acting outside of the law, in defiance of law. This country which has helped to develop many legal standards and whose system has influenced many parts of this world is through that policy a bad example. The surprising thing to me is that many U.S. citizens do know that this is happening but there is no broader movement against it. Is the impact of 9/11 and the discourse that followed about security and terrorism still holding the country in hostage? The U.S. cannot attack every Taliban leader or anyone else they consider as an extremist with drones. Instead, the U.S. should engage with the groups that are perceived as a threat. While the U.S. is also engaged in dialogue, it is much less doing so that it could. At the moment, there are regions where children are afraid to go to school and people who committed suicide because of the mental pressure of having these drones over their head 24 hours a day. It is more than about time that a more constructive approach to deal with extremism has to be found. A clear paradigm shift would be necessary in Washington D.C. and elsewhere. To overcome the current situation, the United Nations and/or a group of interested countries should move forward and work out a convention on armed drones. This should make sure that drones cannot simply be used without any accountability and in secrecy. Such a convention would need to be signed and ratified by all UN member states or at least the majority of them. Such a measure would at least allow for a lot more scrutiny in the use of armed drones or even ban them. For sure, the use of armed drones needs to be clearly defined in international law, particularly in human rights and humanitarian law. Criticism on Drones – nice and fine. But what exactly would be a more “constructive approach” to deal with extremism? If some terrorists want to kill you and you can’t convince them otherwise, how are you supposed to react? The only sollution infact is to fight them. And the safest way to fight them, with way less losses on your side is to use drones. The only thing to optimize about Drones as I see it is to make them able to accurately hit their targets – and only their targets if possible. If you can think of a better solution, I am willing to hear you out.